Art and the Global Economy analyzes major changes in the global art world that have emerged in the last twenty years including structural shifts in the global art market; the proliferation of international art fairs, biennials and blockbuster exhibitions; and the internationalization of the scope of contemporary art. John Zarobell explores the economic and social transformations in the cultural sphere, the results of greater access to information about art, exhibitions, and markets around the world, as well as the increasing interpenetration of formerly distinct geographical domains. 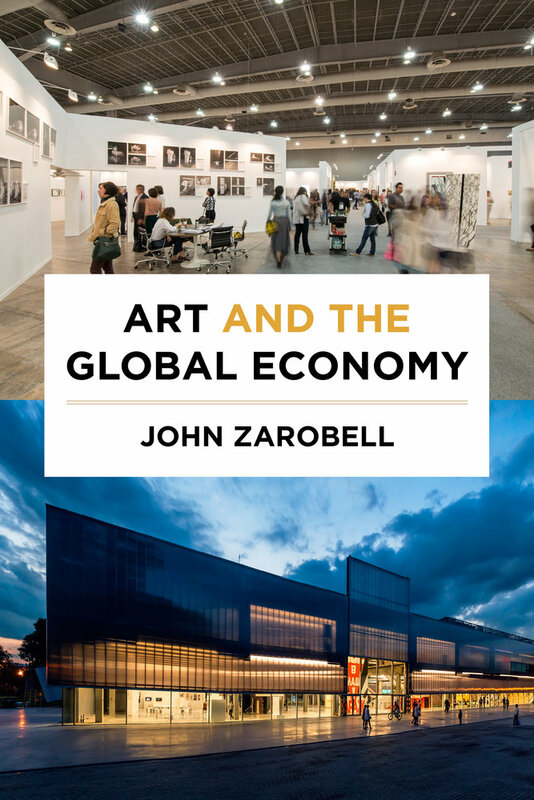 By considering a variety of locations—both long-standing art capitals and up-and-coming centers of the future—Art and the Global Economy facilitates a deeper understanding of how globalization affects the domain of the visual arts in the twenty-first century. With contributions by Lucia Cantero, Mariana David, Valentin Diaconov, Kai Lossgott, Grace Murray, Chhoti Rao, Emma Rogers and Michelle Wong. John Zarobell is Assistant Professor of International Studies at the University of San Francisco. He has held curatorial positions at the San Francisco Museum of Modern Art and the Philadelphia Museum of Art. A regular contributor to the web-based journal Art Practical, he has written for numerous exhibition catalogues and has curated exhibitions of modern and contemporary art. He is the author of Empire of Landscape: Space and Ideology in French Colonial Algeria. 1 • Museum Funding: Who Shapes Institutions?